United Cloud Solutions, CEO Auz Khan will be speaking at the Salesforce User Group meeting for Atlanta businesses on March 20, 2014 at UPS World Headquarters. This is a free event that will benefit Atlanta area Salesforce users. UCS will be speaking about web and email automation. Auz Khan has over 13 years experience with Salesforce.com. It was his vision and passion that lead to United Cloud Solutions. Now we are a Silver Alliance Salesforce.com partner, helping businesses all over the country develop and implement custom Salesforce.com solutions. Auz will address web and email automation, discussing how to integrate those functions within Salesforce sandboxes and maximizing those efforts to achieve increased sales and ROI. Register today for this free event. Fact. Using Salesforce alone will not increase your sales. You need to customize your Salesforce iteration to meet your needs, but you also need to hold your sales team accountable. United Cloud Solutions can help with both. There are limitless possibilities with Salesforce. It’s what makes Salesforce such a great tool, but can also make it pretty paralyzing, not knowing where or how to start. You want a solution that fits all your needs. United Cloud solutions can customize Salesforce so you get the most of it. Once you have a Salesforce customized, then you need to make sure your sales team performs. As a sales manager or director the best thing you can do is train your team on how to use Salesforce properly, but also know to hold them accountable. You need to know how to track all their efforts, manage the opportunity pipeline and leverage events and calendars, and tasks. You also need to know how to create action plans so your team can meet sales goals and rate leads and opportunities. More importantly, you need to know how to develop accurate reports and dashboards and set up approval processes. United Cloud Solutions can customize Salesforce for Atlanta businesses as well as teach sales managers how to hold their team accountable. There is a free lunch and learn on February 26th. Learn How to Hold Your Sales Team Accountable with Salesforce at Roam Dunwoody located at 1155 Mount Vernon Hwy, Suite #800 Atlanta, GA 30338 from 12-2 pm. Register today. United Cloud Solutions holds workshops for sales managers and directors that are interested in Salesforce in Atlanta. United Cloud Solutions offers this as a free service. Our next workshop is February 26th. Sales managers, sales directors, sales VPs, and Salesforce administrators are invited to join United Cloud Solutions and improve their sales program with Learn How to Hold Your Sales Team Accountable with Salesforce. Learn How to Hold Your Sales Team Accountable with Salesforce will be held at Roam Dunwoody located at 1155 Mount Vernon Hwy, Suite #800 Atlanta, GA 30338 from 12-2 pm. Register today. We’re starting the second month of 2014, and the goals you’ve set for the year are still there. 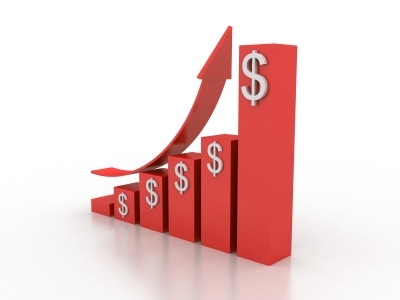 Growing your business and boosting sales now is at the forefront of your mind. 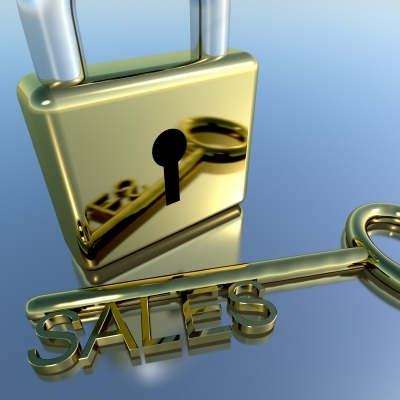 Boosting sales in the first quarter can set the tone for the rest of the year. There are things you can do to increase momentum and start selling quickly. Before that happens, you need to make sure you have the sales infrastructure to succeed. United Cloud Solutions helps Atlanta businesses be successful. We are a Silver Alliance Salesforce partner. Our experienced team helps integrate Salesforce.com iterations and also provides custom solutions to meet specific needs of any Salesforce user. The problem our current customers have had prior to using our cloud services is scattered sales, marketing, and customer service efforts. You may be sending emails and direct mail reminders, but you’re not tracking what happens afterwards. When customers call in, you’re not documenting that conversation and making notes in a place where you can track lead behavior. You’re sending email blasts to potential new customers, but you lose track of what happens to those leads after the email is sent. That’s because you’re not using a cloud service like the Salesforce CRM. All your customer support, sales, and marketing efforts should be in one place. Our job at United Cloud Solutions is to give you the tools and resources to make Salesforce.com successful. Whether you’re considering Salesforce for the first time or you’re ready for your next iteration, we can help boost your sales with the world’s best cloud solution. Contact us to get started or call 404-671-9585 to find out how.